The Arkansas House and Senate education committees met jointly this week and spent the most time talking about how to address differences in transportation costs across school districts. Education committee members discussed the ongoing struggle to fund transportation costs equitably across school districts. The current method of per-student funding for transportation does not account for such differences as actual number of riders, population density, bus route miles, geographic terrain, and road conditions. This creates what committee members called the “haves,” those districts where transportation costs are below their funding allocations, and the “have-nots,” where high transportation costs exceed funding. The Bureau of Legislative Research (BLR) found in a 2014 study that a formula including ADM, actual riders, and daily route miles explained 98% of transportation costs, compared to ADM alone which explained 79% of costs. Despite the hard work of the education committees in the 2015 regular session to use this evidence-based formula in public school funding legislation, Act 1248 included it only in temporary language. The accompanying $3 million appropriation for supplemental funding is in Category C, which means there will not be enough time to distribute the money in 2015-16. Committee members wrestled with whether and how to address the supplemental funding issue in the 2016 fiscal session. The committees also grappled with the possibility that dramatic changes in costs in the Little Rock and North Little Rock school districts may occur after 2016-17 and alter the transportation funding landscape altogether. 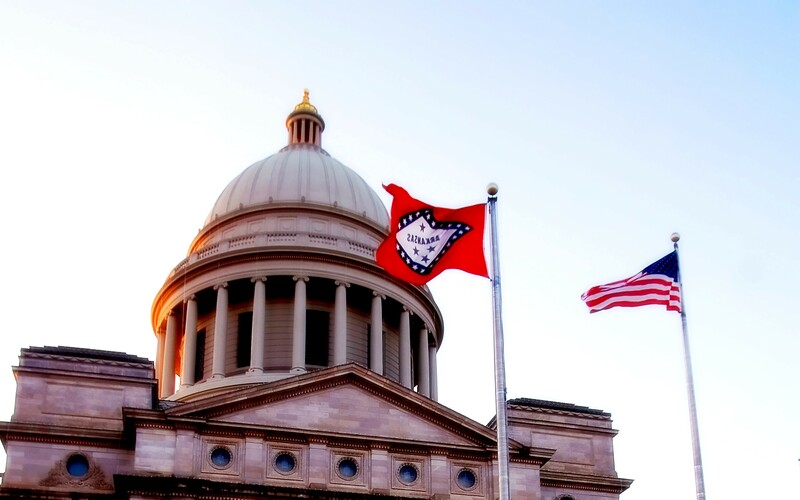 The Arkansas House and Senate education committees met jointly this week and discussed reports of issues related to student growth, declining enrollment, and English Language Learners funding and expenditures. Reviews of these three topics are among the required elements of the state’s ongoing evaluation of education adequacy. The state provides additional funding to help school districts with the financial aspects of rapidly changing enrollments. The number of districts receiving student growth funding has increased gradually since 2010, while the number receiving declining enrollment funding has decreased. Bureau of Legislative Research (BLR) analysis showed that regular instructional programs and operations/maintenance accounted for most of the expenditures of both types of funding, and fund transfers to debt service was also a significant portion of districts’ expenditures of student growth funding. Though they may receive only one type of funding per year, some districts are eligible for growth funding and declining enrollment funding in the same year. These shifts in student population are usually tied to family employment, according to BLR Assistant Director Richard Wilson. In Arkansas, about 64% of school districts receive additional funding to support students who are not proficient in English. ELL funding may be used for salaries for ELL instruction, professional development, counseling services, instructional materials, and assessment, and BLR analysis indicates that per-student expenditures exceed per-student ELL funding by about 30%. Asked if the state is underfunding ELL programs, BLR Legislative Analyst Mandy Gillip said districts can carry over funding from one year to the next and can transfer funds from other categories such as NSL state funds. Overall, state assessment scores for ELL students have improved over the past six years, and NAEP scores show less of a gap between ELL and non-ELL students in Arkansas than in other states. OEP researchers are finalizing an in-depth analysis of public school funding. Watch for it! An Adequate Education: What is it and how much does it cost? Summertime in Arkansas… flip-flops, lemonade, beach books…adequacy study? It has been over ten years since the first meeting of Arkansas’ Educational Adequacy Committee, so we figured that now is the perfect time to share the committee’s history and what they are working towards. The Educational Adequacy Committee was founded in 2002 as a result of the Arkansas Supreme Court case Lake View School District, No. 25 v. Huckabee. Prior to the Lake View case, local property taxes were simply collected and used to fund public schools. Therefore, schools in wealthier districts collected more money from property taxes, and schools in poorer areas had less money to contribute. As a result, districts in poor areas did not have enough funding to meet students’ basic educational needs. The judge of the Lake View case stated that, “The school funding system now in place . . . is inequitable and inadequate under . . . the Arkansas constitution,” as the state constitution mandates a “general, suitable and efficient system of free public schools.” As a result of the Lake View ruling, the state needed to find a way to provide “adequate” funding for K-12 public education. Prior to Lake View, schools were operating with the funding made available to them—not the amount of funding needed to provide a quality education to students. Also, before the ruling, public schools were not the top funding priority. After Lake View, it was mandated that public schools be funded first, even if that meant reduced support for other state entities like prisons, hospitals, or roads. This sounds simple enough in theory—providing every Arkansas student with an adequate education—but the word “adequate” raised an important question. What amount of money is needed to provide an adequate education and how can we determine what is this exact number? Without conducting studies to determine the amount of money schools need to spend per student, how else could Arkansas comply with the Lake View decision, and more importantly, how could it ensure that students were receiving a quality education? Arkansas decided to conduct a study to determine the exact dollar amount schools needed for each student in order to provide an adequate education. The state contracted Lawrence O. Picus and Allan R. Odden, school finance specialists, to perform this study. Picus and Odden followed an expert based approach, where they interviewed a variety of school teachers, staff, and administrations and identified elements schools needed. Some of the different items discussed were curricula, facilities, technology, specialists, and equipment. After determining the specific components “adequate” schools provided, a ‘per student cost’ was determined based on a matrix. Picus and Odden presented this information to the state legislature in 2003-04 during the Lake View Special Session. Following Picus and Odden’s advice while simultaneously considering state budget constraints, the committee subgroup determined that K-12 public schools need foundation funding of $5,400 per student to provide an adequate education. 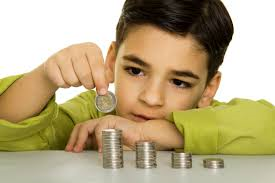 The foundation funding is the funding floor, with categorical funds available for students with more needs. Schools with students who are English Language Learners, eligible for free/reduced lunch, or placed in an alternative learning environment are eligible for the categorical funds available at a progressive rate. The Educational Adequacy Committee continues to meet regularly to ensure that the foundation funding per student, ($6,521 currently), and the categorical funds (funds for students with additional needs), continue to meet the costs of providing students with a quality education, accounting for inflation and changes in the costs of services over time. If you are interested in additional information about the funding formula, check out our 2008 AR Education Report on School Finance. The 2012-14 adequacy study report submitted last November represented data obtained from district and school administrators and educators, state education agencies, educational advocacy organizations, and task forces on specific topics. The process included 65 presenters in 25 meetings and dozens of reports. The education committees evaluate progress on recommendations from the most recent adequacy report and address any other adequacy related issues prior to each fiscal session, making the study a continuous process. (See the Bureau of Legislative Research website for more information.) For more information about educational adequacy, see our 2012 report. Perhaps because of the continued focus on adequacy, Arkansas is 1 of just 26 states in the U.S. that ensure educational equity based on school funding. While ensuring educational adequacy can be both a difficult and controversial process, it is certainly a vital one. The 2015 legislative session will formally adjourn next week, but most of the hard work wrapped up on April 9. The policy brief that OEP published today highlights the major pieces of K-12 legislation that passed through the House and Senate education committees in the past few weeks. In reflecting on the conversations from these meetings and the issues described in the brief, we thought about at least three dynamics working beneath the surface of education policy: its personal nature, its connection between our past and future, and its role in the larger scheme. Personal nature. The formalities of policymaking can seem cold and impersonal. Bills are written according to strict standards to pass legal muster. Floor debates and committee discussions follow formal, orderly procedures. Sitting (or standing) in the audience, though, brings to mind that education policy is intensely personal. Education policy is about us and the people we love. We remember learning to write our names in cursive, memorizing important dates in history, and penciling in the bubble sheet of a standardized test. Our lives revolve around our children’s daily achievements and struggles, sometimes taking place in the same classrooms where we sat back in the day. Education policy is personal to the legislator who recalls her mother teaching 3rd grade and taking tickets at ballgames, her father coaching and driving the bus. It’s personal to the parent who goes to the school each day to personally give medication to his child. Connecting past and future. Education policy ties together where we’ve been and where we’re going. Students today need to be able to read the original Declaration of Independence penned in cursive and have proficient keyboarding skills to take tests electronically. School nurses still put Band-Aids® on scraped knees, but they also administer life-saving medications, suction feeding tubes, and monitor students with eating disorders. Students who learn to weld in shop class may well put the skill to use in a high-paying job that’s part of the global economy. These examples and more came up in recent education committee meetings. The larger scheme. Like many parts of our lives, policy content is divided into categories and examined in isolation. We couldn’t help but notice in the policy brief, though, how many education bills pertain to health, community prosperity, and job creation and preparation. Education, economic development, and public health are interwoven systems that we tend to address separately and expect to work in synchrony. As you read the 2015 Legislative Summary, consider education policy for its personal nature, its connection of past to future, and its place in the larger scheme, along with your own observations. The Senate Committee on Education met this afternoon and discussed several bills with implications for K-12. The most vigorous discussions related to bills on national school lunch state categorical funding and teaching American History. Sen. Joyce Elliott presented SB851 that would narrow the list of uses for NSL state funds. Elliott acknowledged that her intent was not to ask the committee to vote on a specific list today but to put education stakeholders on notice to begin looking for replacement funds. She said that two adequacy studies could not determine the impact that NSL funds are having on closing the achievement gap for children from low-income families because the money is distributed across so many programs. 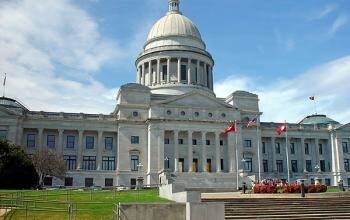 A spokesperson for Arkansas Advocates for Children & Families (AACF) concurred, saying the agency’s research into the effectiveness of the state’s $220 million investment has been inconclusive due to the breadth of spending. Elliott reminded committee members that OEP, Picus Odden, and the Bureau of Legislative Research (BLR) all have recommended that the legislature focus on the intent of the NSL funds to address the achievement gap by paring the list of allowable uses. Committee members agreed that difficult choices are necessary. Elliott pulled the bill and referred it for interim study. Sen. Linda Collins-Smith presented SB1007 (amended) to provide more coverage of American history in social studies and history classes in grades 7-12. Collins-Smith expressed concern that students receive only limited exposure to important periods in history that shaped our nation. Some committee members agreed that more class time should be devoted to history, and Debbie Jones of ADE explained the arduous work of the curriculum committee in determining how best to cover the growing body of material. After much discussion, the bill passed. These bills also passed in committee today: HB1623 to increase the minimum salary schedule for teachers, HB1991 to provide a duty-free, uninterrupted 30-minute lunch period for full time classified school employees, HB1552 to establish a private school option for students with disabilities who are not learning in public schools. Both the House and Senate education committees meet on Monday, March 30, at 10 a.m. The House Committee on Education met this morning to hear several bills with K-12 implications. The committee did not meet as planned this afternoon because of the House of Representatives’ lengthy agenda. Rep. Clark Tucker brought back HB1605 that would ensure the same level of transparency exists whether the state education board or the local school board controls a school district. He said that if the state board contracts with a private entity for management, the third party’s work should be subject to freedom-of-information laws. Tucker asserted that the bill codifies existing case law so that all parties are aware of the requirements “on the front end” of a district takeover. The bill passed. Senate Bill 878 sponsored by Sen. Jason Rapert and presented by Rep. Bruce Cozart generated some of the liveliest discussion of the day. The bill would require that all students pass the US citizenship civics test as a condition of high school graduation. Several committee members agreed with Cozart that adults’ knowledge of the nation’s governing system is lacking. Others questioned the need for the test and even speculated that the bill is an attempt to embarrass students who are immigrants. Two of the teachers attending the meeting during their spring break spoke against SB878, saying the test would not have the intended result and the bill’s language is too vague. The bill failed in a roll call vote. Sen. Blake Johnson presented SB744 to add a non-traditional pathway to teacher licensure for persons with significant experience in a content area and a bachelor’s degree from an accredited institution. The bill’s purpose is to enhance the pool of highly qualified teachers. American Board of Certification for Teacher Excellence (ABCTE) board member Frank Attkisson said the ABCTE would work with ADE to develop the option for Arkansas, and an ADE spokesperson explained how the process would work. The bill passed without opposition. Sen. Joyce Elliott presented SB212 to establish a re-engagement system so that students 16-21 years of age who have completed less than one-half the credits for graduation may earn a diploma. Elliott called the bill an opportunity “to recapture students we have lost” and put them on a path to a career or further education. Students may still be in school or can reconnect with their high school and will work with a counselor to develop an individualized plan. The bill passed. Intense discussion also accompanied SB788 presented by Sen. Joyce Elliott and aimed at addressing issues encountered by schools in implementing the 2013 dyslexia legislation, Act 1294. Elliott prefaced her explanation of the bill by imploring committee members to believe their constituents who say their schools are proactively obstructing efforts to follow this law. “We still have work to do back in our districts to be sure our students are being helped,” Elliott said, but she also recognized the many districts that have good programs. She said the bill is an attempt to clarify parts of the law that have caused confusion, with criteria specified for training and definitions added for staff roles. Parents and teachers gave passionate testimony against the bill, calling it a step backward and an effort to water down the existing law. Elliott closed by saying the problem is a lack of enforcement of the law, not the bill itself. The bill passed with one opposed. The Senate Committee on Education meets tomorrow at 9:00 a.m. The Senate Committee on Education met this morning and voted on several bills with K-12 implications. This afternoon’s meeting was cancelled because of the Senate’s lengthy agenda. Sen. Jim Hendren presented HB1495 to permit school boards to allow advertising on school buses. The bill tasks the Commission for Arkansas Public School Academic Facilities and Transportation with developing the guidelines and provides that school boards may use the revenue generated from advertising for transportation purposes only. The bill passed after committee members were assured the advertising would not divert attention in a way that would interfere with safety. Sen. Eddie Cheatham presented SB858 to allow the state education board to exempt from the academic distress classification those schools that exist to serve at-risk students. The bill passed without opposition. Rep. Charlotte Douglas presented HB1913 to amend state law regarding application for public school facilities funding. HB1913 provides for timely receipt of a written copy of partnership application review conference findings from ADE’s Division of Public School Academic Facilities and Transportation. A district that wants a review conference must make the request at least 60 days before the application deadline and will receive the Division’s findings in time to address any issues. Ft. Smith Superintendent Benny Gooden said the new language would prevent districts’ applications being denied for minor technicalities. The bill passed without opposition. Rep. Charlotte Douglas presented HB1597 to clarify the policy on accumulated sick leave when teachers transfer from one district to another. The bill specifies that credit for unused sick leave transfers with the teacher, as long as the former school district submits documentation of the leave. The bill seeks to prevent situations in which teachers may not be paid for accumulated sick leave upon retirement. The bill passed without opposition. Rep. Douglas also presented HB1685 to require teaching dating violence awareness in health classes for grades 7-12. Douglas stressed the importance of understanding dating violence as a type of bullying and a precursor to domestic violence. The topic is already part of the curriculum but often skipped. The bill specifies teaching the material in October for fall courses and February for spring courses to align with national awareness campaigns. The bill passed without opposition. The Senate Committee on Education meets again on Friday morning. The House education committee meets tomorrow morning and afternoon.